High yielding potent marijuana strain created from solid genetics of popular parent varieties Critical+ and the queen of resin production White Widow. Bred with the commercial grower in mind for yield and potency but equally these White Critical seeds are also a perfect choice for the smaller grower looking to produce coffee shop grade that may well end up being their preferred headstash. 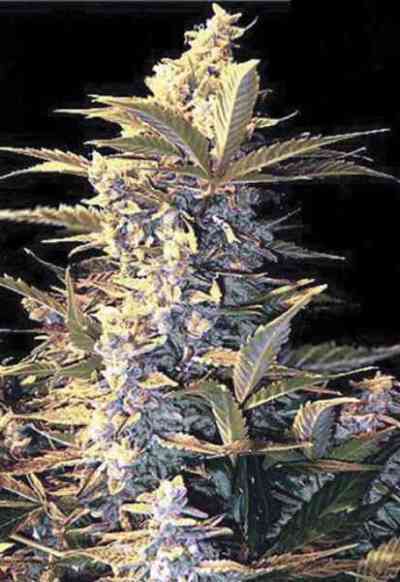 Growing White Critical from feminized seeds is effortless. Easy to control within indoor set ups and with a short flowering period of just 49 to 56 days White Critical plants are ripe for harvesting volumtious buds which ooze with adhesive like resin. Outdoors she´s unfailing due to her high reistantancy to pests and mildew, ready to harvest in the final weeks of September / early October every plant is capable of producing up to a kilo of dank narcotic weed. The initial effect is estatic, uplifting and euphoric superseded by a more relaxed mellow high. White Critical will soothe away pain, depression, tensiion and anxiety and aid most ailments including bipolar, migrains, eating and sleep disorders. If your looking for an easy to grow plant whose buds drip with adhesive like resin White Critical from Original Sensible Seeds is the strain you need.